This session is designed for those who are interested in photography and want to improve the quality of the photo’s that they take but are pretty much beginners. This session will be hosted by Michael Wayne Plant on behalf of Sony. I have been a Sony advocate Photographer since 2008. 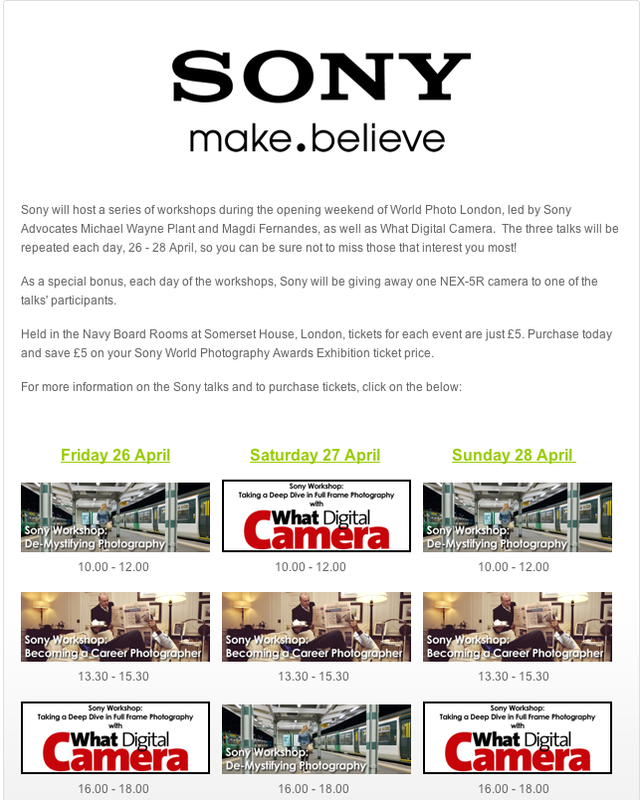 In this time I have given workshops on a range of subjects and events for Sony UK. I am lead Photography Lecturer at Idea Store Learning in Tower Hamlets and have wide experience of teaching photography. This workshop will be of interest to a variety of photographers. For anyone thinking of using a Sony camera with the SLT viewfinder for the first time. Thinking about how to develop your own photographic style this is a hard one for most of us, it does help though in learning to be a better photographer if you can develop your style.